Ben Dobson grew up in Hillsdale, New York, on a small organic farm and started his first agricultural business in 2001. After two years on his own, he joined forces with his father Ted Dobson and managed the fields at his salad and tomato farm in Sheffield, MA, from 2003 through 2006. Since then Ben has started, managed, and overseen the sale of two agricultural businesses: One of which, Atlantic Organics, founded in 2007, was the largest organic vegetable farm in the state of Maine. The other, a company called Locally Known LLC, founded in 2008, was a salad processing company that sold pre-packaged ready to eat salads to Whole Foods Market, Hannaford Bros. and Trader Joe’s supermarkets in the Northeast and Mid Atlantic regions. In 2013, Ben joined Stone House Farm as the Organic Transition Manager, and in 2016 he became their Farm Manager. He planned and oversaw the implementation of an organic transition on the 2,200-acre Stone House Farm property, and developed a non-GMO feed and grain business to sell their grain. The farm is now expanding its grain operation to include organic grain from other farms in the region. 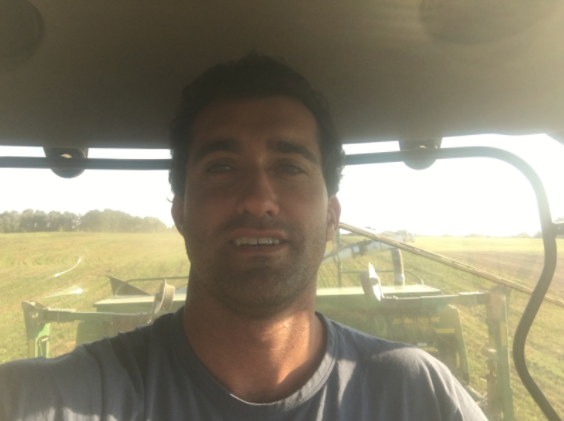 Ben also heads Hudson Carbon: a research project conducting long term research across several sites on Stone House Farm and two neighboring farms. Hudson Carbon monitors the economic impacts and ecological effects of organic farming systems regarding carbon sequestration. Collaborators in this project include the Rodale Institute, The Woods Hole Marine Biological Laboratory, and Scenic Hudson. This winter Hudson Carbon will be launching a website with sections dedicated to farmers, science, and the public. how do we feel about the vertical farm?